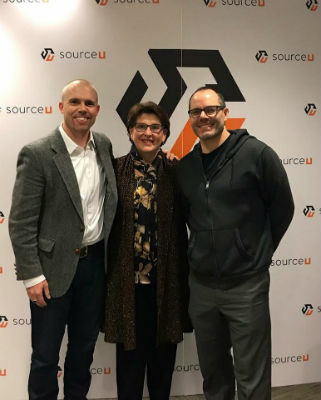 Warner Pacific University is excited to announce the launch of sourceU, a school of innovation and technology that will empower students with the right skills, education, and support to become leaders in tomorrow’s tech industry. In partnership with Portland, Oregon’s top code school, Epicodus, and the innovative team of cybersecurity professionals and educators at Riperia, sourceU combines the industry-focused skills that a code school brings with the supporting resources and expertise of a well-rounded Christian education from Warner Pacific University. The tech industry in the Portland Metro Area is growing dramatically and demand for tech workers is strong across all industries. Portland tech companies have relied on in-migration, poaching, and their professional networks to fill vacancies. The result is a local workforce that is nearly 90-percent white. Too many talented people from more diverse backgrounds—including women—are not participating in this growth. Classes are enrolling now! For information on getting started at sourceU, complete a short online form or contact the Office of Admission at 503-517-1020. Founded in 1937, Warner Pacific University is Oregon’s most diverse four-year institution. Offering associate, bachelor’s, and master’s degrees, the Church of God university on the West Coast empowers students through personalized attention, relational support, and career-focused liberal arts education. Degrees are available in the traditional undergraduate format, as well as one night a week, and online. Warner Pacific was recently recognized by U.S. News & World Report as the #1 Most Ethnically Diverse Campus in the West, as a Best College in the West (10), and a Best Value School (8). Warner Pacific is the only four-year college or university in Oregon to be named a Hispanic-Serving Institution by the Department of Education. Warner Pacific and all the degree programs offered are accredited by the Northwest Commission on Colleges and Universities. Learn more about Warner Pacific University at www.warnerpacific.edu. This entry was posted in All Church of God, Colleges & Universities, Western and tagged Andrea Cook, Ben Sand, college, degree, diversity, education, endorsed agency, exansion, higher education, initiatives, innovation, new school, OR, Oregon, Portland, programs, sourceU, tech, technology, Warner Pacific University, WPU. Bookmark the permalink.